Reliably get pure & clean water. You will notice this in your shower, sinks, tap water, in your garden and on pavement. The blue colour in your shower is copper and it will taste metallic. The deep orange that goes brown, is iron. Earth & Water installs systems that filter your bore water so it is safe and healthy to drink. 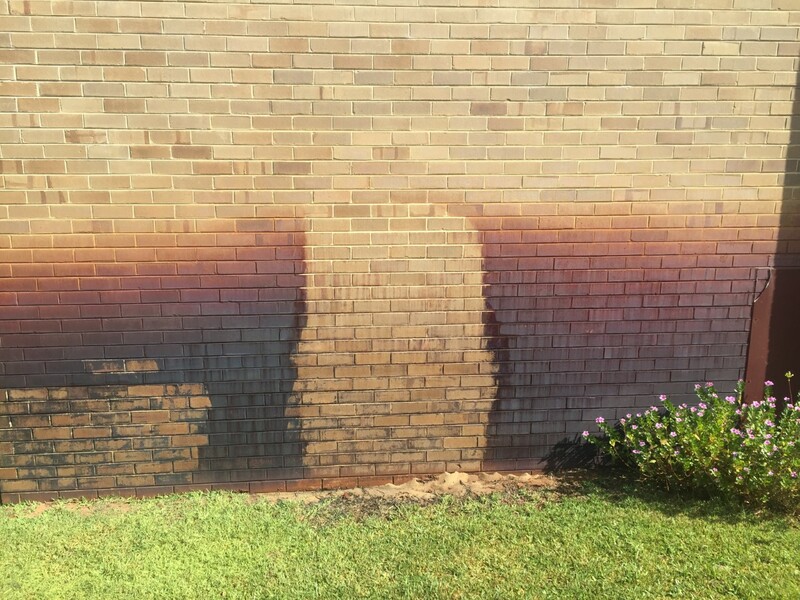 Impurities like iron & copper are removed and areas can be cleaned to remove existing staining. 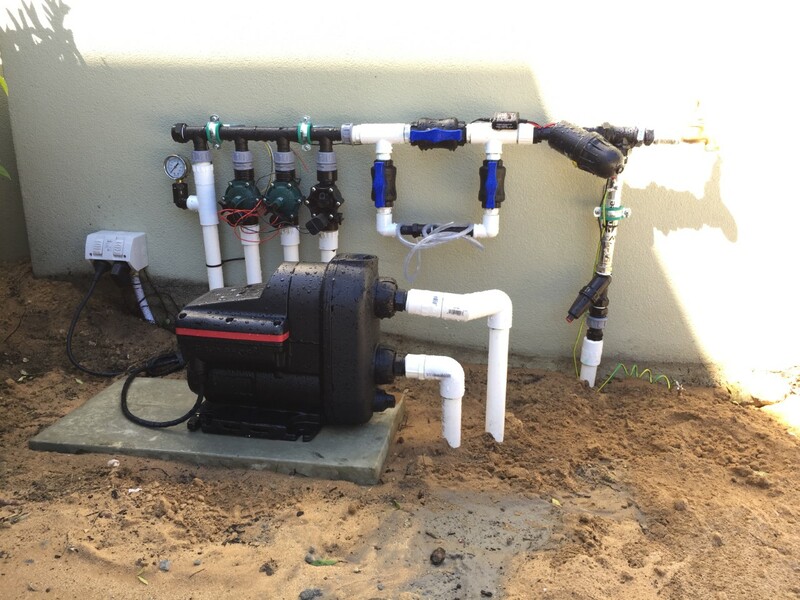 Bore systems are unique to each property, with our long experience in Perth we are familiar with every suburb. Get more information on your problem below. 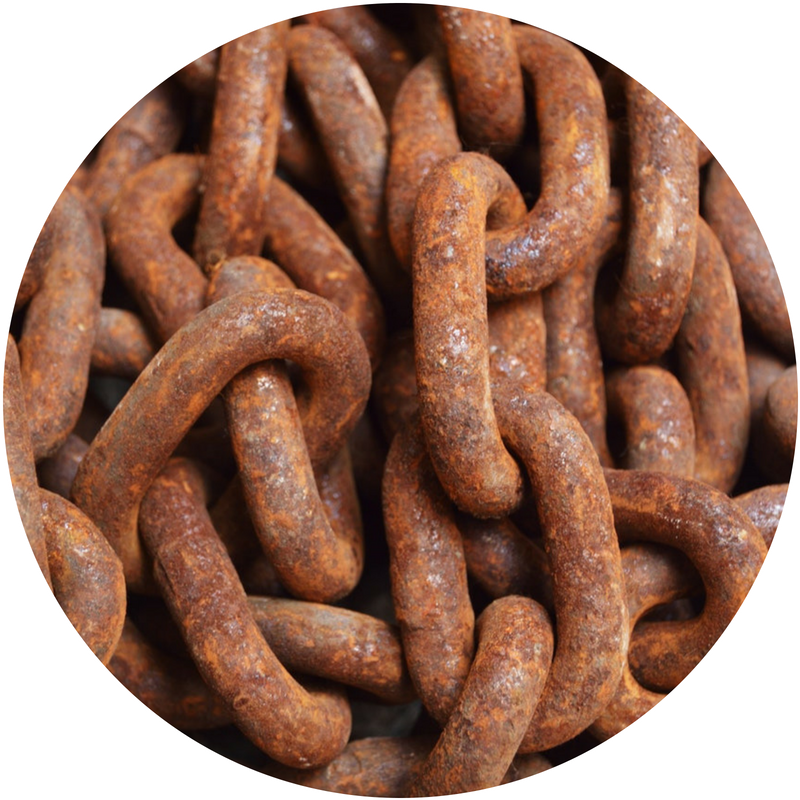 If you have ugly red staining it’s probably iron staining. 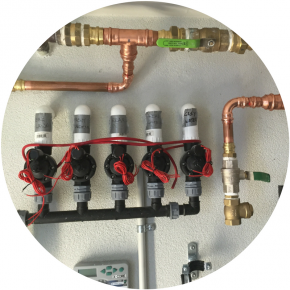 It occurs when your bore doesn’t have the right filter system and it’s letting iron impurities into your water system. Earth & Water fixes this. Earth & water makes your water system drinkable for you and your garden!